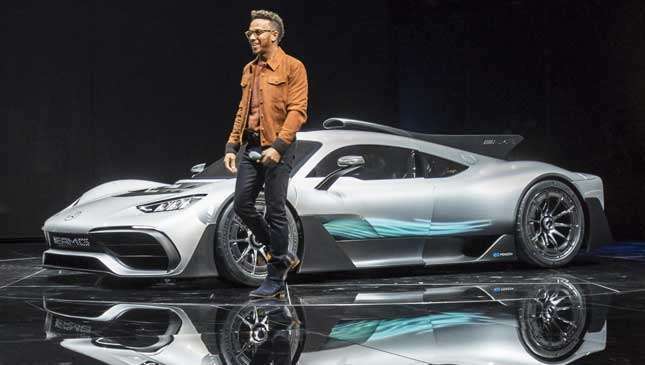 Lewis Hamilton grins as he gets out of the Project One, having just driven it onto the stage for the Frankfurt reveal. He looks genuinely pumped, not just race-driver-grinning-for-the-bosses pleased. He also loves his road cars. “I’ll be happy to have the first one,” he says, gesturing at the silver Project One. 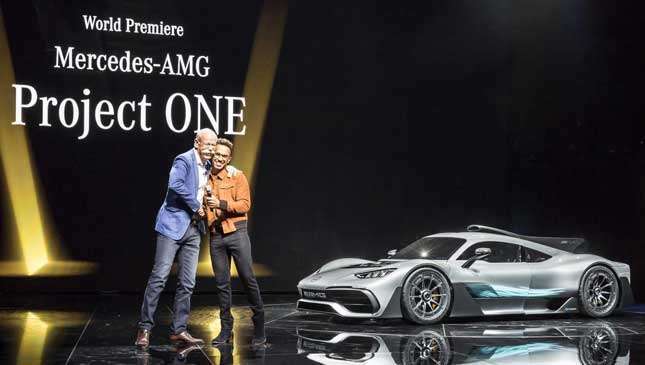 Mercedes boss Dieter Zetsche, a lifer with the company, is on stage with Hamilton. 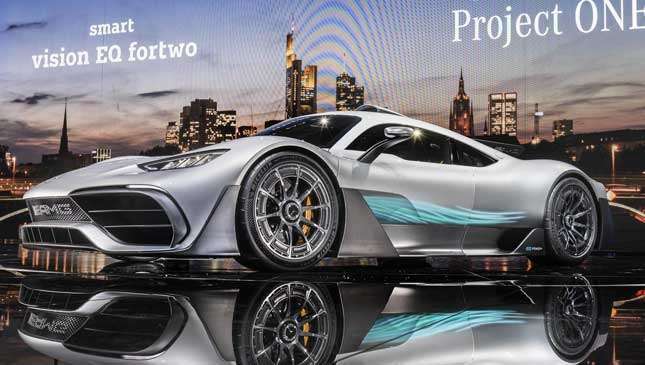 Zetsche says: “In 40 years I haven’t experienced as much hype about a Mercedes. 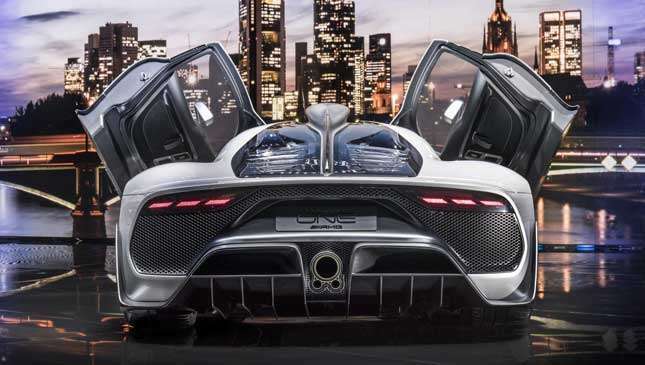 I see why it’s called a hypercar.” Boom-boom. 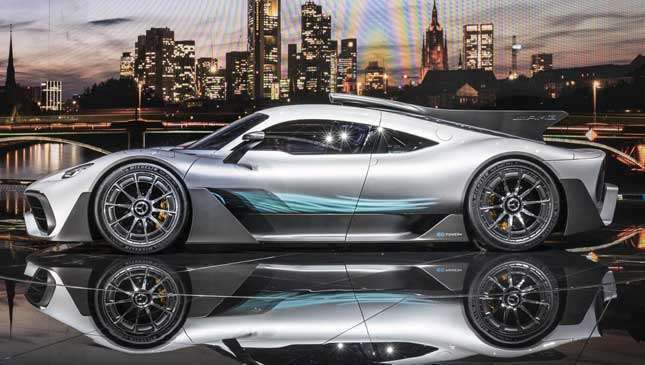 We mention this to AMG boss Tobias Moers. 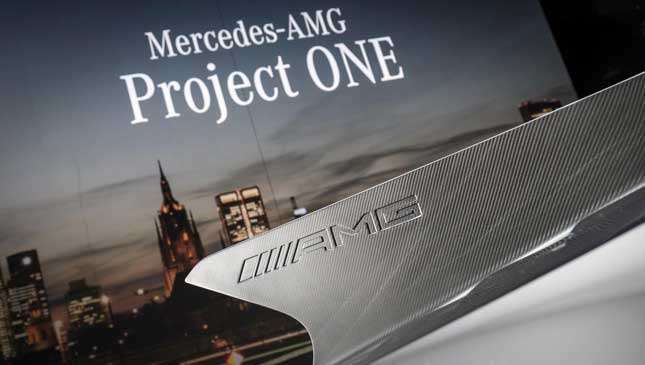 What was the Project One’s genesis? 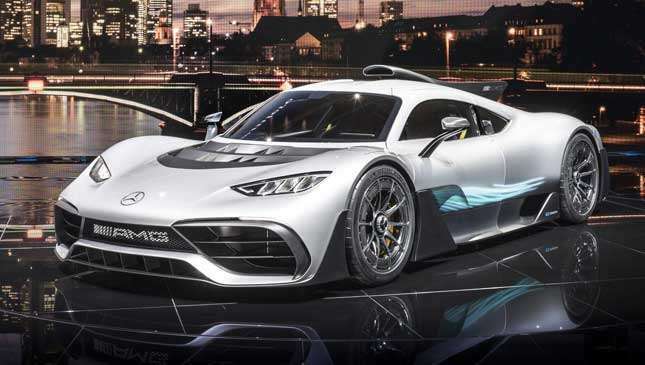 Moers says they had a long-standing plan to build AMG to a point where it could make a supercar. 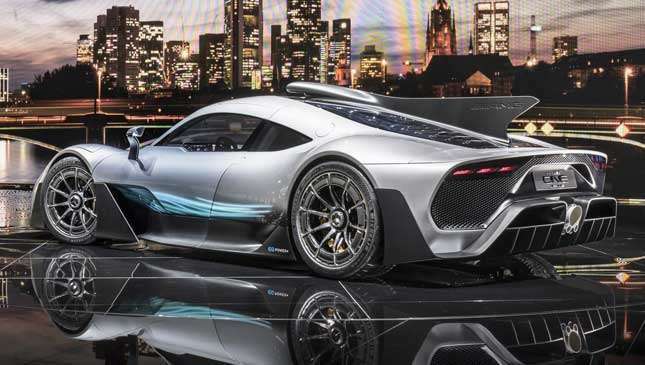 But he’d only do it when he was sure enough AMG customers were asking for it. 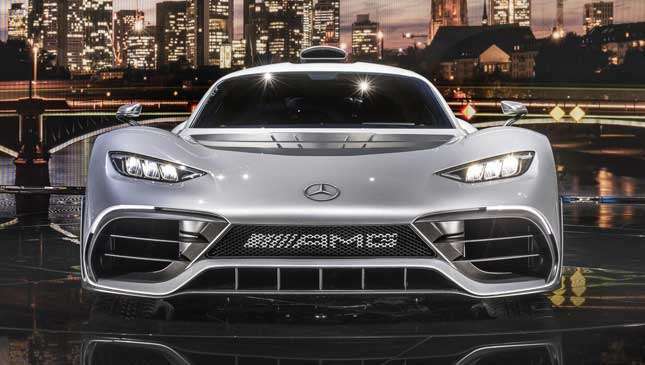 He was also convinced electrification was key to the future for AMG. After that says Moers the layout was easy to visualize, and soon a small team had started work on what became the Project One. It won’t, by the way, be called Project One for production. This is still officially a concept because it’s not ready for homologation. But Moers leaves us in no doubt it’s the real thing. 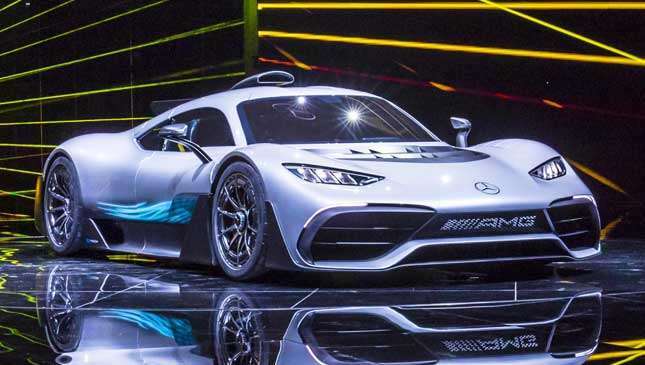 The first cars are made in 2019. Yet the whole 275 run is sold out already. And that’s it. No spiders, no track versions. They would “sharpen the business case” says Moers—i.e. make a quick buck—but he wants to keep faith with those 275 buyers. 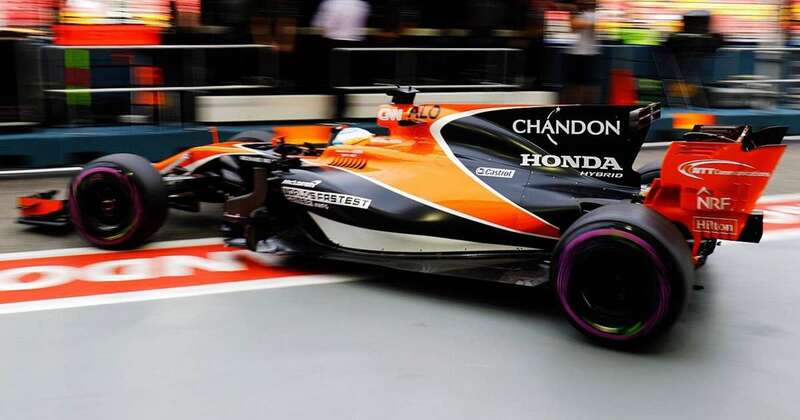 So what excites the triple world champion about this car? “Firstly, the sound,” says Hamilton. 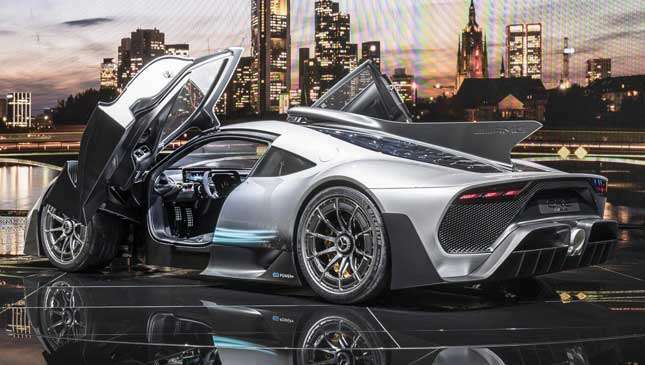 “When you rev this thing and shift up through the gears, it’s just going to be breathtaking. It’s going to be very, very streamlined. And then, it’s got quite a wide track, and have you seen the size of the tires?